Amit Shah drew a comparison between former Congress government at the Centre and the incumbent BJP government at the Centre. 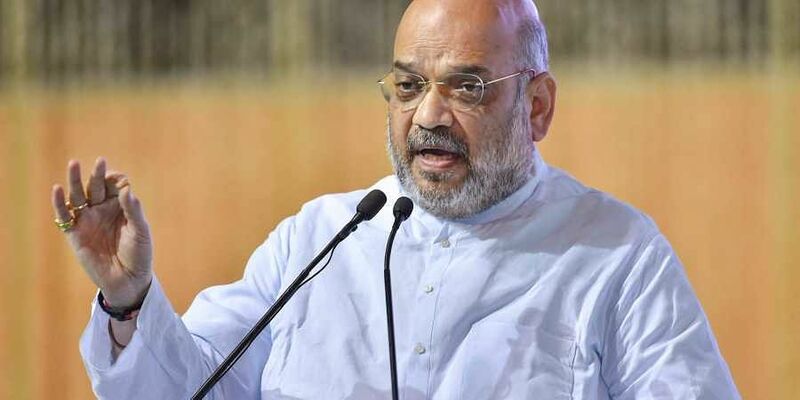 KHAIRAGARH: Bharatiya Janata Party (BJP) president Amit Shah on Sunday launched a scathing attack on the Congress, saying that it lacks leadership, strategy and principle. While addressing a public rally days before the first phase of the Assembly election in the state Shah said, "On one side, there is Congress with no leader, no strategy and no principle and on the other hand, there is the BJP under the leadership of Prime Minister Narendra Modi and Chief Minister Raman Singh. The Congress always opposed the Chhattisgarh and it was only after Atal Bihari Vajpayee became prime minister that the state was formed." He also drew a comparison between former Congress government at the Centre and the incumbent BJP government at the Centre. "Five years back, when there was the Congress government; it gave Chhattisgarh Rs 48,000 crore during the 13th Finance Commission. When the BJP government came in the 14th pay commission, Rs 1, 37,947 crores was given to Chhattisgarh. So, Prime Minister Narendra Modi-led government increased the amount by as much as Rs 90,000 crore," Shah said. Outlining the people-oriented policies of the central and state government, Shah further talked about Ujjawala Yojana among other schemes and urged people to vote for the BJP candidates. "Under the Ujjawala Scheme, 36 lakh poor women of the state were provided with gas cylinder and stove. Under Pradhan Mantri Aawas Yojana, over 2.5 lakh poor people have been provided with a house. Chhattisgarh Chief Minister Raman Singh government was the first one to start giving rice to poor at the rate of Rs 2/kg," Shah said. He urged the people of Chhattisgarh to re-elect Raman Singh in 2018 before once again electing Narendra Modi as Prime Minister in 2019. He also emphasised that both the state and central governments through their combined effort wish to make Chhattisgarh as the most developed state in India in the next five years.